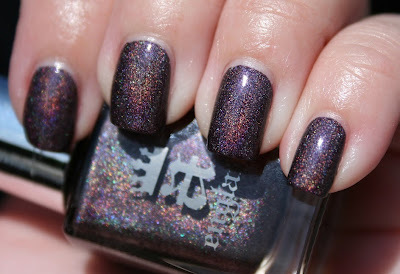 This summer I started seeing so many bloggers swatching a england's new Burne-Jones Dream collection, which is full of holo-goodness. Each time I saw pictures, I wanted them more and more. But every US stockist was out of stock! I was so disappointed! I had surgery on July 3rd and was home resting on the 4th while my family enjoyed a neighborhood BBQ. Of course I was trolling Facebook, and a england posted about a new US stockist, Color4Nails. And it just so happened that Color4Nails was having a Fourth of July sale! Although their website was not up yet, I was able to message them on Facebook and place my order that way. They sent me a Paypal invoice to pay from. I got all 5 in the collection for $44, which included shipping. 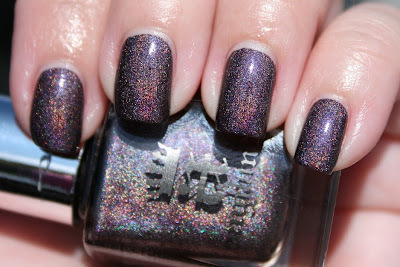 Color4Nails shipped my order almost immediately and I got it very fast. I was also impressed with the packaging- they did a great job protecting these beauties with bubble wrap. 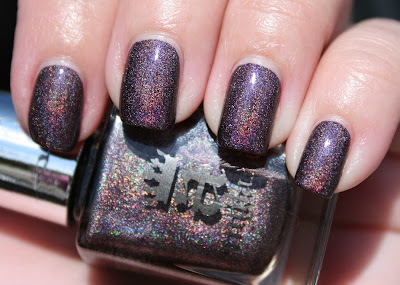 But now back to Sleeping Palace..... it's just one of the most beautiful holos I have ever worn. Absolutely stunning. Plus perfect application! I did need two coats. I used NYC GCS as my topcoat and was pleased with how fast it dried. Can't wait to wear the other 4 shades! OMG, I think I am in love!!! This is a gorgeous color. I want it! Sorry about the surgery, hope you have a quick recovery.